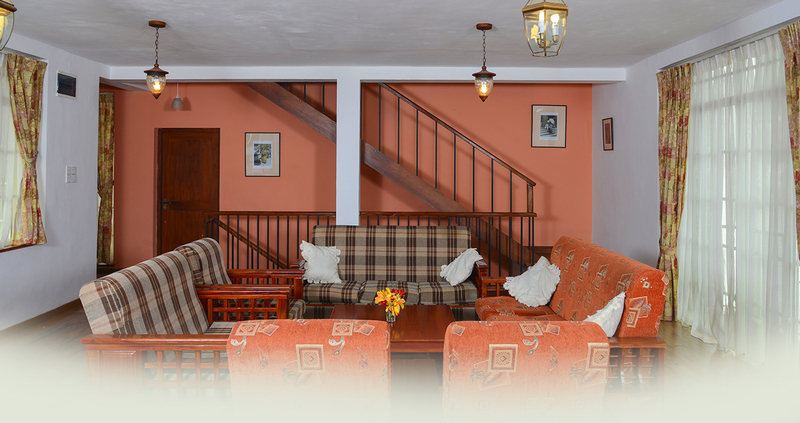 Located approximately five hours away from Colombo, the Ranmin Lodge is a beautiful mountainside holiday, right in the heart of the town of Nuwara Eliya. The area is known to be a pivotal location in the production of tea, and is perhaps the coolest in all of Sri Lanka. A drive from Colombo along the Avissawella – Hatton – Nuwara Eliya Highway leads to ‘Little England’ complete with colonial bungalows and bright little rose gardens. The breathtakingly scenic drive takes one right past the flowing Kelani River in Kithulgala, along the Aberdeen Falls, through the world renowned Watawala tea plantations, right down to the lush green Hatton hills, passing the little Niagara – St. Clair’s falls, through Talawakella and Nanu Oya, in little less than 165 km. Endowed with views of valleys, meadows, rolling tea plantations, parks and mountains, the town enjoys an average temperature of 16°C throughout the year. It is truly a refreshing escape from the otherwise tropical climate of Sri Lanka.